73: When is a 10 a 10? The Tigress Giantess! 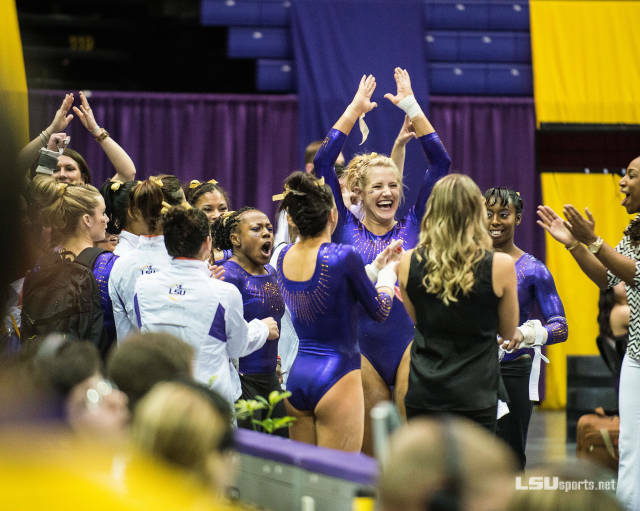 We love 5′ 9″, former elite, current All-American, Sarie Morrison of LSU. Michigan’s eight (yes, eight!) E level mounts on floor. Whaaaaa?! The Balance Beam Situation’s post re Georgia vs. Florida. Coach Rick’s thoughtful post with illustrated chest positions. Mattie Larson’s exit interview with International Gymnast. 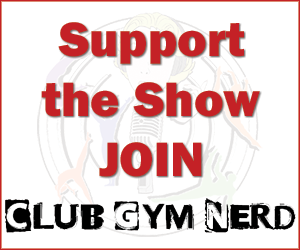 Don’t forget to take the Listener Survey! I think you guys missed a big factor in the Sloan/Hunter 10 debate. Whether anyone wants to admit it or not, judges score on a sliding scale. They judge the gymnasts against each other. I think the biggest influence on the scoring in their routines was the scoring of the routine directly before that. Rachel Spicer scored a 9.975 on a routine that was definitely not a 9.975 routine. Sloan and Hunter had obviously superior routines compared to hers. The only place to go with the scores was up in comparison and the result was a 10. They might not have been perfect routines but after Spicer’s 9.975, they definitely deserved to be scored higher than that. YES, I do remember the “I love you, Tasha!” moment. Later on that broadcast she thanked the fan/stalker for the love, she said it helped her.